Cameras needed to document and protect the community from civil rights abuses by the Fargo, ND P.D. The People’s Press Project (PPP), is a media justice non-profit serving the Fargo, ND and Moorhead, MN area which has launched a community response to numerous claims of excessive force by the Fargo Police department. The PPP has responded with educational trainings empowering residents with an understanding of their civil, communication and community journalism rights and best practices. This project benefits anyone who wants to learn their communication rights, the public’s rights to film and record in public, and how to exercise them. We also aim to help the public share their stories in the most effective ways. The PPP will be holding trainings, webinars, and community response actions in connection with the #CopCoverage campaign empowering residents to discuss concerns about police interactions, sharing their stories, and seeking remedies together with local law enforcement entities so that together police and community members can shape the face of community policing in the Fargo-Moorhead region. How To Do #CopCoverage– Training will take place Sunday Sept. 7 at Fargo Public Library from 3-5pm in the Fercho room in downtown Fargo. This training is free and open to anyone in the community who want to learn more about what their communication rights are and how to exercise their rights to film in public and share their stories in the most effective way. 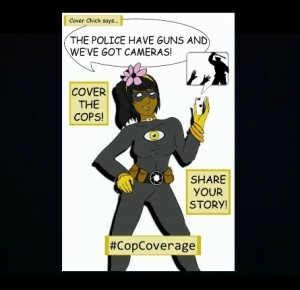 Fundraiser: PPP is also conducting an online fundraiser on indiegogo.com to fund camera equipment to train and equip community members to expose civil rights abuses by the Fargo PD, via #CopCoverage with audio and video recording devices.